Are you searching for the historic church? Mid-week services and events as scheduled. 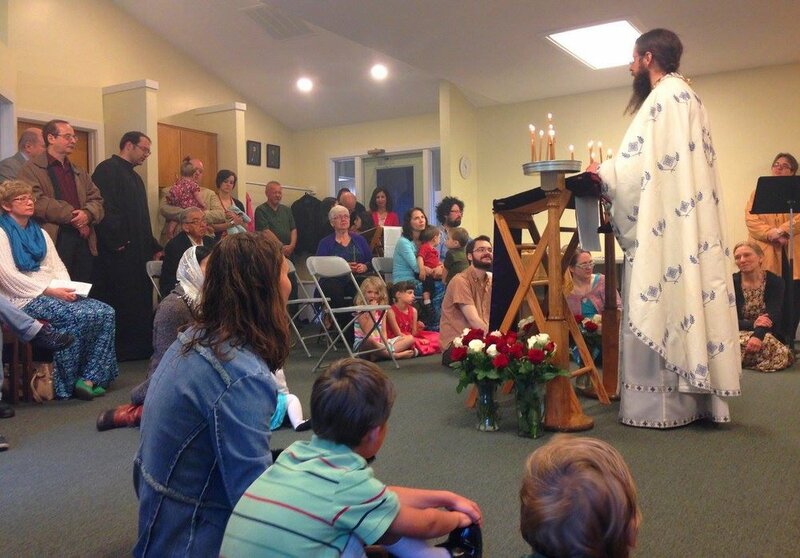 We are an Eastern Orthodox Church serving the Holland-Zeeland area. Ours is a house of prayer for all people to meet, to know, and to worship our Savior Jesus Christ as he taught us. If you are seeking the historic roots of the Christian faith, we humbly offer a home where your heart can rest and your spirit can grow in the firm and living faith of the ancient church, whose unbroken roots reach back to the first Christian communities in the city of Antioch. Come and see. We look forward to meeting you. Saint Willibrord is a parish of the Antiochian Orthodox Christian Archdiocese of North America.